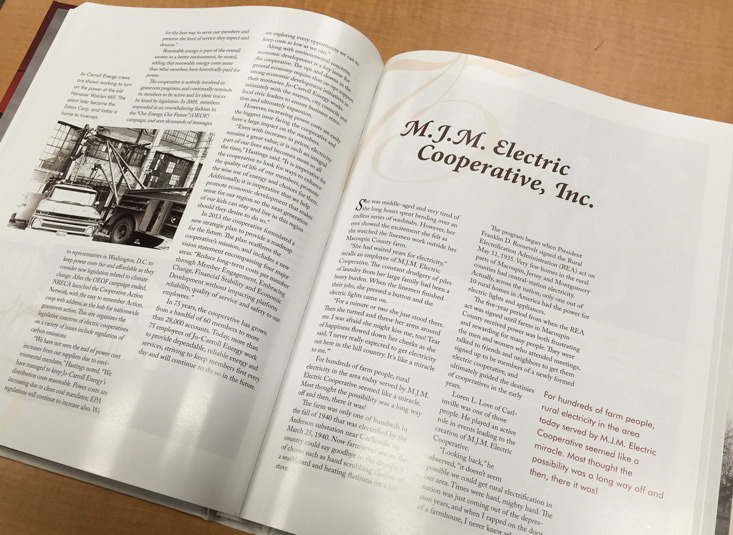 This 380+ page hardcover book was compiled from the many individual history books we created for AIEC’s member-cooperatives. It features a gold foil inlay on the cover and spine as well as a mix of color and black and white images. 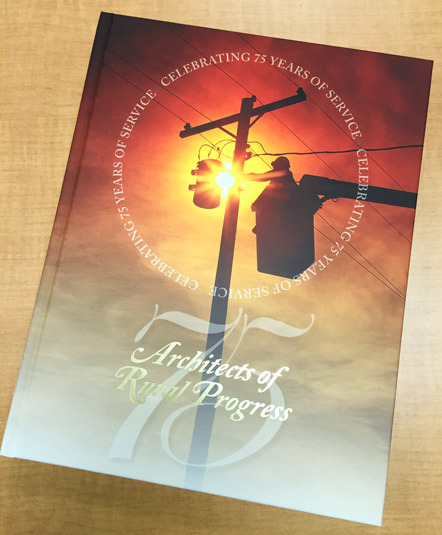 The project was a loving look at the history of Illinois electric cooperatives over the past 75 years.